In the latest salvo, the city brazenly banned five tow companies and several of their employees earlier this month from doing work with the city for up to 15 years. Some of those companies had previously sued the city for denying them work without the right to due process. The move raised eyebrows among legal experts and some city council members because municipalities can only blacklist companies and individuals if they create a present danger to taxpayers. That does not appear to be the case with the towers. Under a newly created debarment ordinance, the city’s Inspector General blacklisted the companies and employees about 11 months after towing magnate Gasper Fiore was convicted in a public corruption case in Macomb County. Even though Fiore is no longer connected to the company, Boulevard & Trumbull, the Inspector General’s office banned the firm and four others over tenuous affiliations with Fiore. In some of the cases, the companies’ only connection to Fiore is that his former company shared resources such as impound lots, which is common in the towing industry. In another case, Joan Fiore and her company, Javion & Sam’s 24 Hour Towing, were debarred for 15 years because she’s the ex-wife of Gasper Fiore. Never mind that Joan Fiore had been divorced and lived in Florida when her ex-husband was accused of soliciting a bribe. The debarments, which are being appealed to city council, are good news for Anthony Soave, who owns a tow company that does business with the city and several impound lots in Detroit. 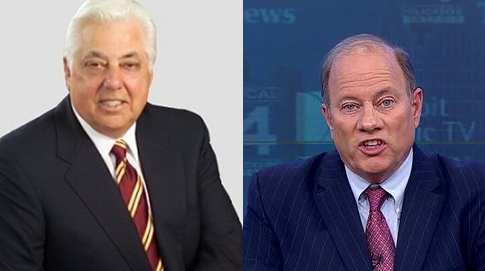 Soave and his business partners have donated tens of thousands of dollars to Duggan’s political campaigns and played a major role in Duggan’s successful write-in campaign. With fewer towers in the rotation, Soave stands to get more business. Trouble is, Soave’s conduct in the past is far more egregious than anything related to the debarred tow companies. According to court records, Soave admitted he gave convicted former Mayor Kwame Kilpatrick about $400,000 worth of private flights and a Rolex watch while getting lucrative contracts from the city. So if the city is debarring companies and individuals because they allegedly pose a risk to taxpayers, why is Soave still getting work from the city? Duggan’s relationship with Soave dates back to the 1990s when the mayor worked as a deputy Wayne County executive under Ed McNamara. While Soave had contracts with the county, he offered McNamara a condo on the west coast of Florida at no charge in 1989. At the time, one of Soave’s companies was under an FBI investigation over a trash-hauling contract with the city of Warren. Six years ago, Soave testified that he let then-mayor Kwame Kilpatrick and his entourage make 20 jaunts on some of his three private jets at a cost of $389,000. Soave also admitted he bought Kilpatrick an $800 pair of shoes and a $1,200 purse, along with a $6,000 Cartier watch for Kilpatrick’s father, Bernard Kilpatrick. Despite the admission, Soave was never spent a day in jail and continued doing business with Detroit, especially under Duggan. Duggan’s office denied treating the towers unfairly and dismissed Soave’s misdeeds. But what Roach didn’t mention is that Duggan personally told city lawyers to go after the tow companies, according to in-court testimony involving a lawsuit filed by Joan Fiore. The city’s law department complied and asked the IG to investigate. When pressed, Raimi said he was unsure if the companies did anything illegal or if they pose a risk to taxpayers. Joan Fiore’s attorney David Fraser then asked why the city wasn’t going after Soave, and Raimi claims he hasn’t “heard of that name” and knew nothing of flights and gifts that Soave gave Kilpatrick, despite numerous media coverage at the time. Ramie responded, “You have to ask the Mayor about his political statements. I’m just telling you what he told me” about the Fiores. Raimi also had trouble justifying why the city would debar companies with tenuous, past ties to Gasper Fiore. Duggan’s office suggested that Soave’s misdeeds don’t rise to the level of debarment. Another close friend of Duggan’s, Dennis Archer Jr., who receives contracts from the city, is under an FBI investigation for allegedly giving Councilman Gabe Leland money for help acquiring property, according to depositions in a separate case. Fraser told Motor City Muckraker that the debarments of the towers raise serious questions about fairness and favoritism. “They are running the best dog and pony show without a dog and pony,” Fraser said. Duggan’s fight with the towers is expected to cost taxpayers in excess of $2 million, according to city documents. It’s also unlikely that the city will prevail in court because most debarments rarely last longer than three years. According to state and federal law, debarment is a last measure after all other remedies are exhausted. In the case of the towers, the city never tried to work out a deal to ensure taxpayers aren’t at risk. Courts often throw out debarments if they are considered arbitrary, capricious or an abuse of discretion. Local and federal debarment rules require authorities to determine whether the companies are still a risk and have taken the proper steps in correcting problems. In those cases, the failure to consider mitigating factors provides a basis to challenge the debarment as arbitrary. Detroit did none of that. In fact, before the debarments began, the city misled elected officials and the public, violated ordinances and placed taxpayers at risk by hastily entering the towing business in September. The move enraged city council members, who were never told it was happening. The council placed towing contracts on hold while they investigate the role Duggan’s administration played in secretly plotting to take over towing. It all took place behind closed doors between Duggan, Police Chief James Craig and the mayor’s allies on the Board of Commissioners, which is supposed to serve as an independent watchdog for the public, not the mayor. One councilman told Motor City Muckraker on condition of anonymity that it appears Duggan wants to give more business to Soave. The council is investigating. Just two days after Muckraker exposed the brewing towing scandal in October, Conrad Mallett Jr., a longtime political ally of Duggan, abruptly resigned from the Board of Police Commissioners. Mallet, the former campaign chairman of Duggan’s mayoral campaign in 2012 and 2013, took the unusual position of removing police oversight over towing. With less than a day’s notice on Sept. 20, the commission voted 7-2 to allow the police department to take over up to half of the towing operations, a move that puts the cash-strapped police department at risk of losing money. “The City is operating two illegal enterprises: a towing company whose trucks fail to comply with state law; and multiple impound facilities that violate the Zoning ordinance, and complementary ordinance that authorizes the Chief to establish pounds,” according to a lawsuit filed by Detroit Auto Recovery. The city’s history with towing is abysmal and places taxpayers at risk. The city stopped paying rent on an impound lot where more than 1,000 cars were stored as evidence for crimes. The business that owns the lot, Realty Company, evicted the city, but police failed to retrieve the cars, potentially jeopardizing evidence in criminal cases.